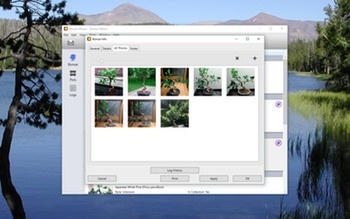 Track your bonsai tree collection on your PC! 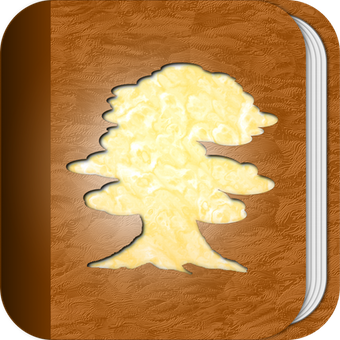 Bonsai Album (盆栽アルバム) makes keeping track of your Bonsai or Penjing collection easy. 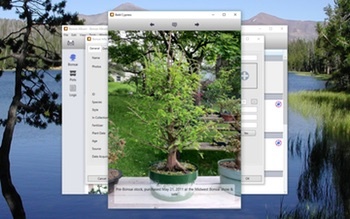 Track development of your trees throughout their lives, on your Windows PC! The download version initially runs in an unregistered trial mode, limited to 3 bonsai, 3 pots, and 3 logs, with 3 photos each. It will also only allow a single database to be open at a time, and database import is disabled. 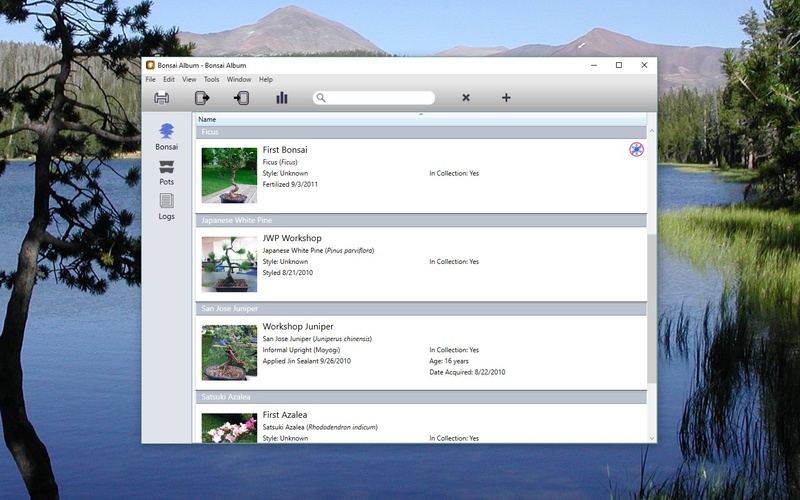 Create and edit log entry reminders linked to your calendar (requires Outlook 2010). Fixed bug where EXIF photo orientation wasn’t taken into account. 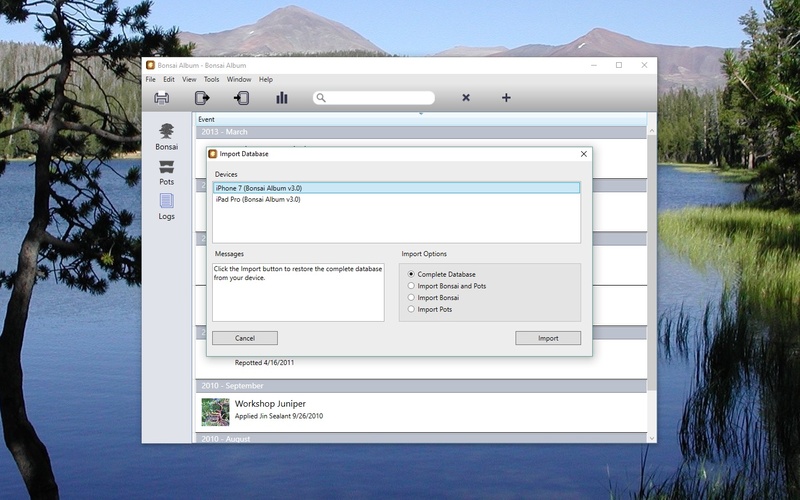 Fixed crash when exporting a database to the iOS version when using a non-English PC. 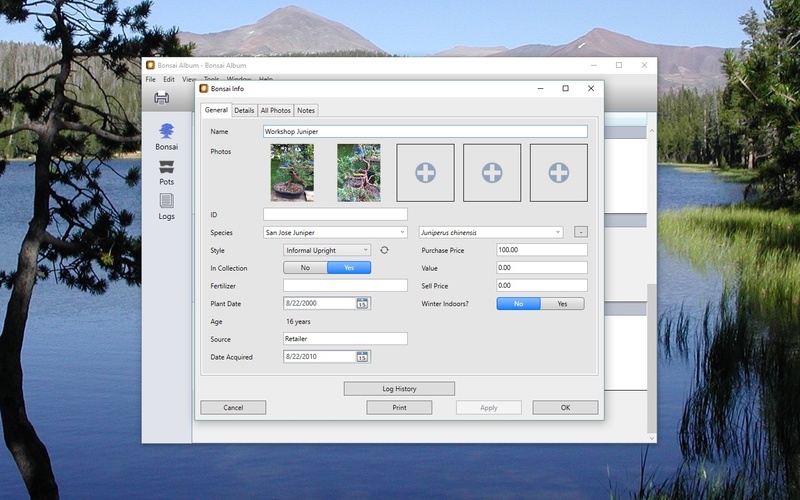 Improved performance with large databases when switching between tabs. Swapped Delete and Cancel button order on the item deletion alert. Fixed crash when exporting a database to a filename that already exists. Fixed crash during CSV import when a Bonsai entry contains a Pot name that doesn’t exist. Send me an email at if you have any questions, to request features, or report any issues. You might also want to check out the Bonsai Album for PC Frequently Asked Questions (FAQ) page.